Offering you a complete choice of products which include industrial plastic sheets and pvc flexible sheets. Aimed at the prosperous growth in this domain, we are instrumental in offering an excellent quality range of Industrial Plastic Sheets. Made available in different thicknesses and sizes, these sheets are widely used for tank and container building, waste water and chemical process industries. Appreciated for its excellent UV resistance, good electrical insulation and supreme chemical resistance, the proffered series is massively sought after. Backed by the assistance of our diligent professionals, we have been the prominent supplier of a qualitative range of PVC Flexible Sheets. 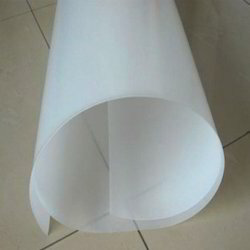 Manufactured using high grade polyvinyl chloride with the aid of modern technology, provided sheets are highly demanded for its varied quality attributes. These sheets are available in different sizes & thickness as per the exact requirements of our valuable customers. Besides, these sheets are available at industry leading prices.